See More Photos! Download audio guides, maps, booklets, more! When approached about this topic, I was a bit perplexed. Where in all the landscapes in South America have I been where it seemed I had stepped back in time? Perhaps the better question in this age is: Where does it seem our bustling and problematic world has been left aside, and daily life goes on as it has for past generations? Truly, it isn’t so difficult! The key is to get off the beaten track, and go into the deep folds of the Andes, from Colombia to Chile and Argentina. There I guarantee that you will find many fine villages you can travel back to an age time has forgotten. It's not just the mountains, as the coasts also offer sleepy fishing hamlets, but be forewarned: local cityfolk also look to slip away in time, and the beach is one of the most popular destinations during holidays! None of this means you won’t find “modern comforts” like internet and cell phones in these villages, though bandwidth may be meager. The point is you will find that modern comforts don't seem to be the preoccupation, and instead an easier way of life with traditions being passed down from generation to generation is the mainstay. I have chosen 10 places that are not only remote, but also have some surprising attractions nearby, like archaeological ruins and hot springs. Lastly, these villages may be remote in time, but you can still get there by bus! 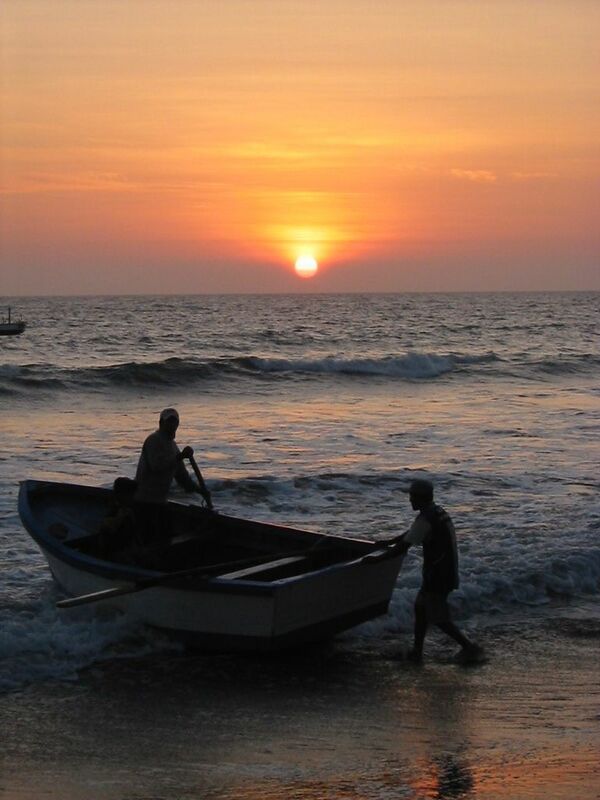 Coveñas lies on Colombia’s northeastern Caribbean coast, not too far from Tolú. The town is scattered alongside the highway, with one section being the town center (shops, internet and such) and the other section called Segunda Ensenada de Punta de Piedra, a retreat from the hustles of modern life. At Segunda Ensenada, you can spend hours dipping into the warm, shallow waters of the Golfo de Morrosquillo, beachcombing along the white-sand strand that goes all the way to neighboring Tolú, and watching the fishermen come in with their daily catch. It’s a true seaside getaway. A few fascinating day trips can be made from Coveñas, such as Volcán de Lodo El Tesoro, a mud volcano with curative properties (west of Coveñas, near San Antero); or a boat ride through the Manglares de Cispatá in the Sinú River delta (east of Coveñas). Best season: Weekdays are best, as Colombians come in droves on weekends and holidays, as well as all of July. After visiting El Cocuy National Park on the western slopes of the Cordillera Oriental mountain range in Eastern Colombia, make it a point on your itinerary to spend a day or two in Capitanejo, the perfect place to thaw out. This small town has a warm climate and when the weather gets toasty, you can soak in the fresh water of several balnearios (swimming holes) to cool off. It also offers whitewater rafting on the Río Chicamocha and hiking to waterfalls. 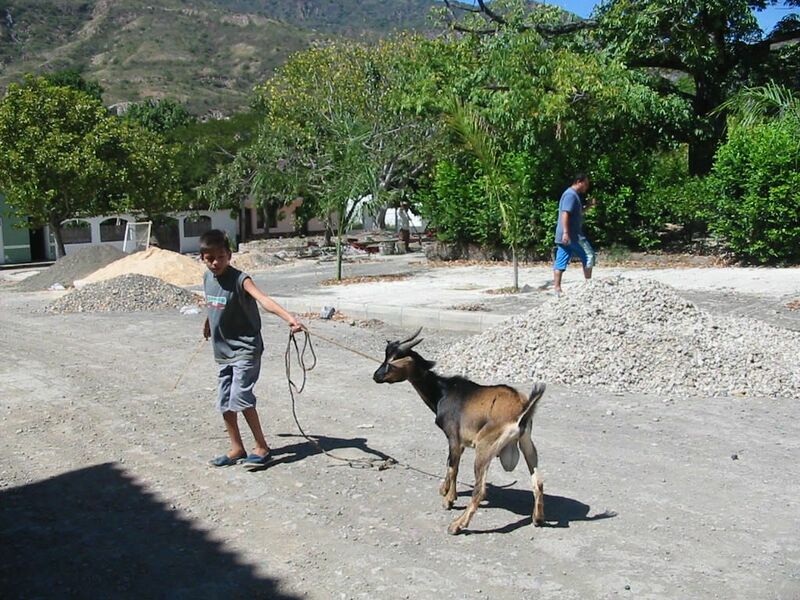 Capitanejo is Colombia’s capital of melons, tobacco and goats, the latter of which shows up on the menus of local eateries menus, and in processions in August for the patron saint San Bartolomeo, the goats are dressed up for the occasion. Oña is located 103 kilometers (63 miles) south of Cuenca and is a small town where you can step back in time, step by step. The first step is into colonial times (Oña was founded in 1539) and the cobblestone streets and adobe homes are so well preserved that the town has been declared a Cultural Heritage of Ecuador. 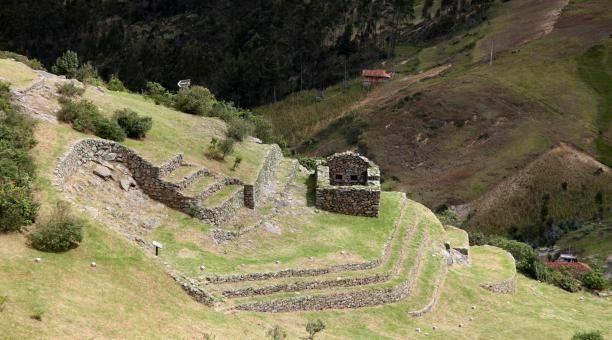 Taking another step back to Inca times, Oña was a tambo (rest stop) on the Qhapaq Ñan, the Inca road that stretched from northern Argentina to southern Colombia and which is itself a UNESCO World Heritage Site. You can hike along the Qhapaq Ñan or visit one of the archaeological sites near the village, like to Putushio (an Incan cemetery). Go back even further in time by climbing up Cubilán Hill, home to ruins that date back to 11,000 BC. Other paths call you to birdwatch, seeking out the Andean condor and the world’s largest hummingbird. Peru’s northern coast has many small villages, especially west of Piura, where it seems time has stood still. My favorite of them all is Colán! I love walking along the five-kilometer beach Playa Esmeraldas, watching the blue-footed boobies diving into the sea for a meal and other birds toddling along the beach. Local fishermen bring in their catch several times per day. Swimming is wonderful here, but beware of rays at low tide. 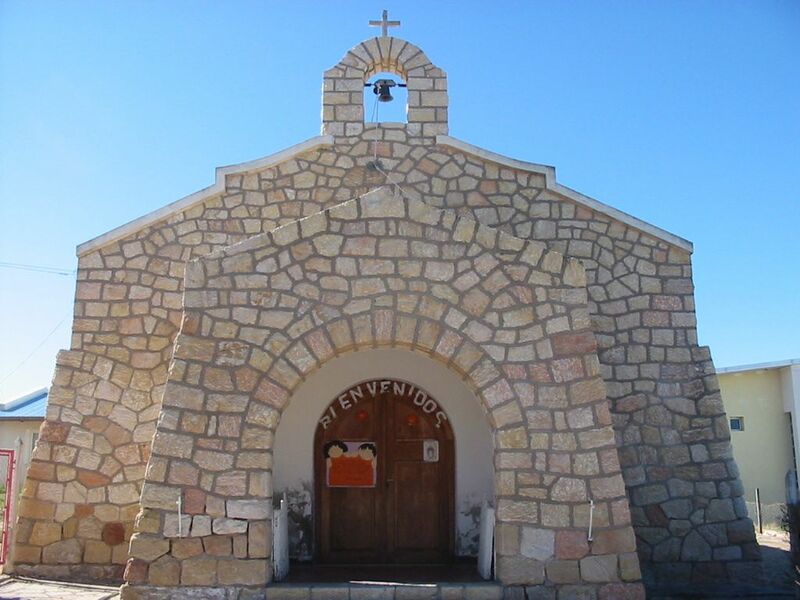 Just a kilometer from the beach is Iglesia de San Lucas, built in 1535 atop a Chimú temple. But the pièce de résistance here is the sunset! Best season: Any time of the year, but can be very crowded during Peru’s national holidays. Gastronomy: Fresh fish and seafood. Founded by the Spaniards in 1533, this town’s history actually delves into times many millennia earlier. 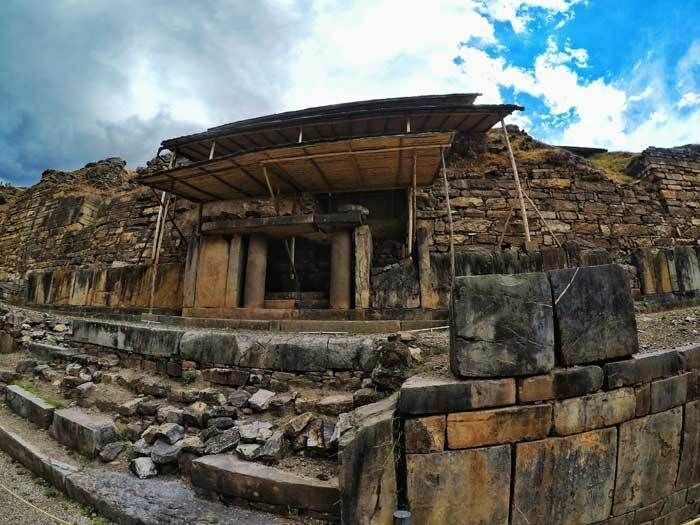 The highlight is the Chavín de Huántar archaeological ruins (1500-500 BCE), a UNESCO World Heritage Site, with imposing sculpted heads projecting from the walls, underground passages (take a flashlight) and a good museum. After the tour buses leave for the long ride back to Huáraz, you’ll find yourself in a laid-back little town with many other attractions. Hike to Pojoc or Machac to check out more ruins, or go see the rock paintings at Shallapa. Nature will beckon you on a trek to Nevado Huatsán Mountain near Nunupata hamlet. At the end of the day, soak in the deliciously warm (45ºC / 133ºF) sulfur springs at Quercos, just 2 kilometers (1.2 miles and 20 minute) away. Putre, located 130 kilometers (81 miles) east of Arica, sits at an altitude of 3,500 meters (11,483 feet), and is a small village where life is slow. Stroll down the cobblestone streets, popping into the workshops specializing in alpaca woolens. The music you’ll hear is the native Aymara being spoken. You can spend time here hiking to the Pictografías de Vilacaurani petroglyphs and soaking in the Termas de Jurasi hot springs. 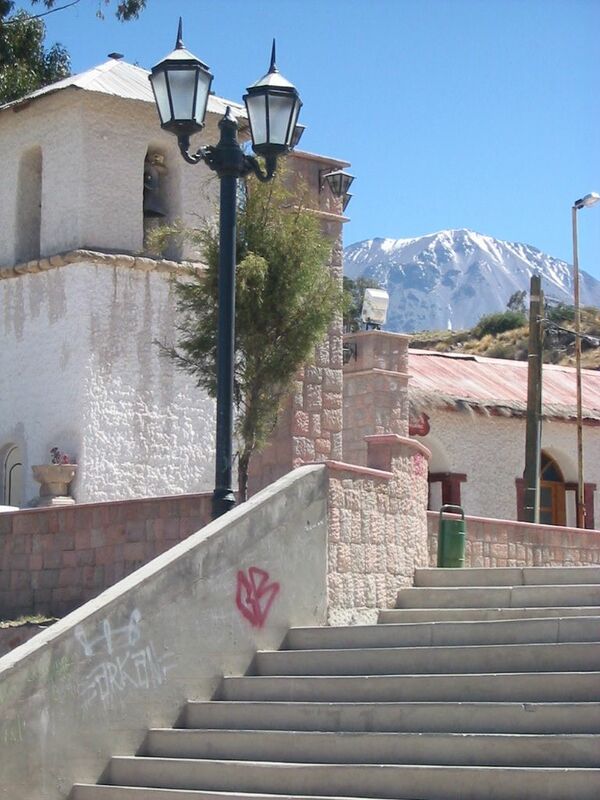 Putre is the gateway to Parque Nacional Lauca where you can time travel even deeper into the past at Parinacota and other small indigenous villages surrounded by snow-covered mountains, wetlands and cerulean-blue lakes. On the southern leg of Chile’s Carretera Austral, just before Fiordo Mitchell, a side road heads off to the Pacific Coast to the unique village of Caleta Tortel. Here, you will definitely be tripping back in time as Caleta Tortel has no cars – in fact, it has nary a street. Just seven kilometers (4.2 miles) of cypress wood pasarela boardwalks. 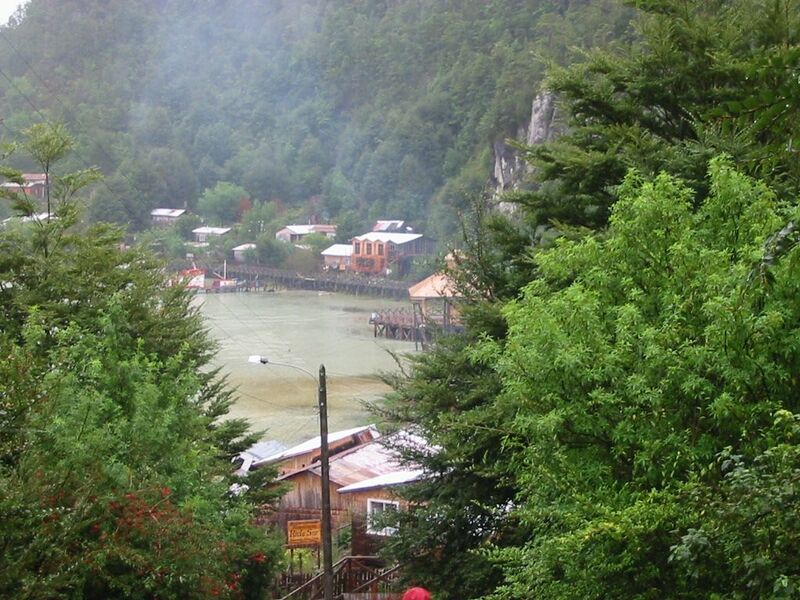 The town nestles at the mouth of the Río Baker, along icy fjords between the Campos de Hielo Norte y Sur (North and South Ice Fields), which are protected by Parque Nacional Laguna San Rafael and Parque Nacional Bernardo O’Higgins, respectively. You can make boating, hiking and ice climbing excursions to glaciers in the two national parks, or take a boat out to Isla de los Muertos National Monument. Kayaking the fjords is another adventure you can undertake. A word of warning: Caleta Tortel is so far back in time, it has no ATMs or other money facilities. 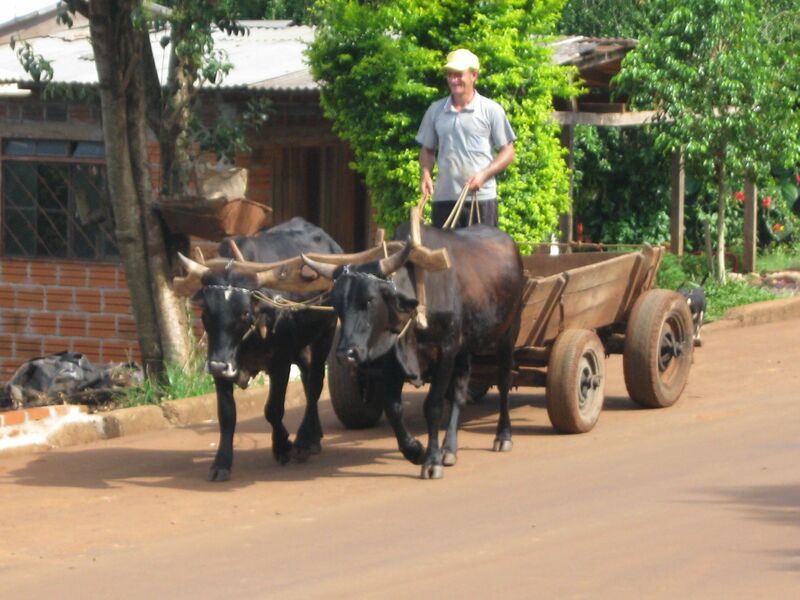 With a population of less than 4,000, it is not at all surprising to see ox-drawn carts in this town. It’s a sleepy little place in Misiones Province, on the border with Brazil, where the residents more often than not speak Portunhol (Portuguese-Spanish mix) instead of Argentine Spanish. The economy is mostly agriculturally based (tobacco, citronella and other fragrant herbs), thus earning the nickname National Capital of Essences. To learn about this some more, drop by the Museo de los Aromas y Casa de Piedras. There is also one thing it has to rival the nearby and world-renowed Iguazú falls. Next to El Soberbio in the the Reserva de Biósfera Yabotí are the Saltos del Moconá, the only cascades in the world that fall parallel to the river instead of downward into and perpendicular to the river, stretching three kilometers (1.8 miles) along the Río Uruguay. Take a boat tour up to see this natural wonder. (High river levels diminish chances of seeing the falls.) If the weather gets too sultry, take a dip in one of the local swimming holes, Balneario El Plata and Balneario La Planchada, on Arroyo Soberbio. Best season: Warm year round; coolest and driest in March and April. Gastronomy: Surubí and other fresh river fish, typical Argentine and Brazilian dishes. Located on the mid-Patagonia coast in Chubut province, Camarones is a small town absorbed with fishing and sheep herding (it is famous for its fine wool). Many buildings are constructed of local piedra toba, a stone with a distinctive earth-tone marbleized pattern. Especially outside of the summer high season, it’s another place where time seems to stand still, and yet it offers a bit of everything for all types of travelers. You can visit the Museo Provincial Familia de Perón, the childhood home of General Juan Domingo Perón, Argentina’s three-time president, and La Casita del Telégrafo, the former telegraph office turned into an artisan market. 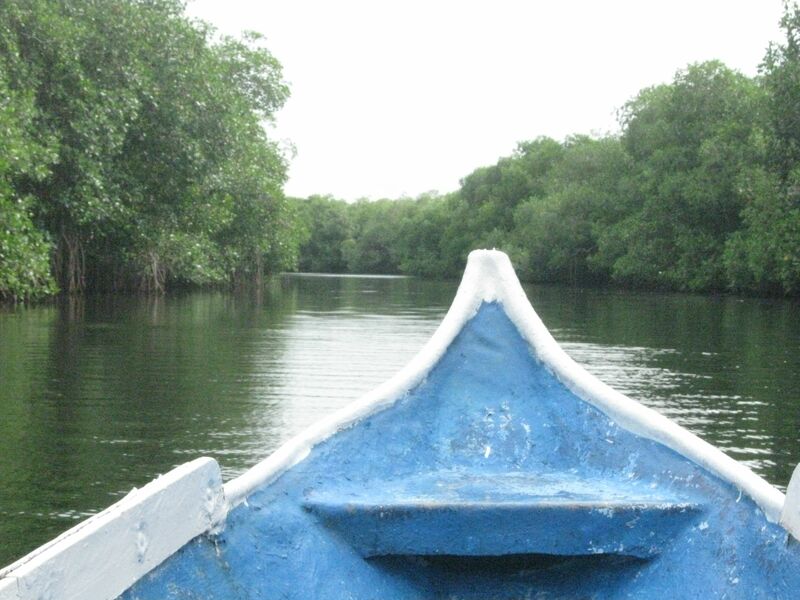 Nature lovers will enjoy walking along the shore at Playa El Arroyo where there is a self-guided path. The big attraction is Área Natural Protegida Cabo Dos Bahías where there are large colonies of Magellanic Penguin and South American sea lion. If you’re into outdoor sports, you can go fishing or scuba diving. Sunrises are impressive here. 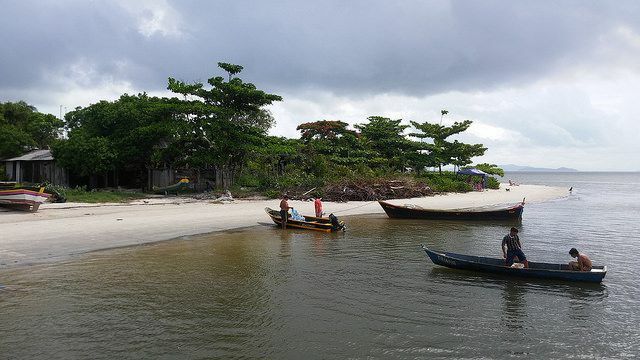 This small (350 souls) fishing community is a short boat ride away from Paranaguá on the Atlantic coast of Parana State. Here you’ll find pristine mangrove forests and long stretches of beach featuring abundant bird life and dolphins breaching the calm sea’s surface. You may also drop by the indigenous hamlets in the zones. Ilha das Peças is definitely the place for a digital escape. Be sure to also boat out to its sister communities, Guaraqueçaba and Ilha do Mel, to continue time tripping to simpler times. Lorraine Caputo is a travel writer, poet and translator. She has authored ten guidebooks for South America. Her literary works appear in over 150 journals in Canada, the US, Latin America, Europe, Asia, Australia and Africa; 18 anthologies and eleven chapbooks – including the collections of travel poetry, Caribbean Nights (Red Bird Chapbooks, 2014) and Notes from the Patagonia (dancing girl press, 2017). For more than a decade, she has been traveling through Latin America, listening to the voices of the pueblos and Earth. Follow her travels at: www.facebook.com/lorrainecaputo.wanderer.